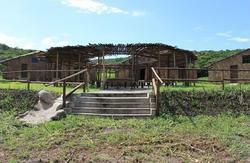 Santa Paloma is located in the Coastal Forest of the Eastern Cape where you can hear the birds sing and the rivers flow. 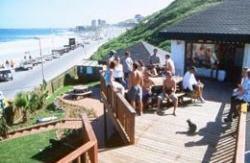 Your hosts, The Jordaans cater for those who seek real South African hospitality in a tranquil environment. An unique outdoor experience not to be missed - it's our logo for a reason. Our hostel is a beautifully renovated old farmhouse that can sleep up to 60 people. The rooms are big and comfortable and always a good temperature, because of the high ceilings. Our lounge that has DSTV is great for meeting new people and just relaxing on the couch enjoying the view of the tree-filled hills. On cold winter nights we make a fire in the fireplace that warms you up. The conference centre can seat up to 100 people for private functions or weddings and always has coffee and tea available. 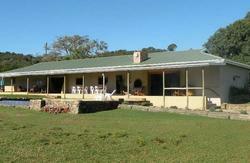 Enjoy the swimming pool with a drink in the hand overlooking the open plain where the Zebras graze. Take a game drive in an open game viewing vehicle or on foot escorted by a trained guide to get a closer view of game roaming the luch green pastures. With us nature comes first. We've got more than 200 different bird species and different game species. And we are home to a great variety of indigenous plants. The food is absolutely great and can be made on request. Let your taste buds tingle while watching the dancing flames of the open fire. Travel north on Amalinda Main Rd over N2. At stop turn left into Voortrekker Road. Turn right into Thornycroft Road and follow signs (Santa Paloma Guest Farm).